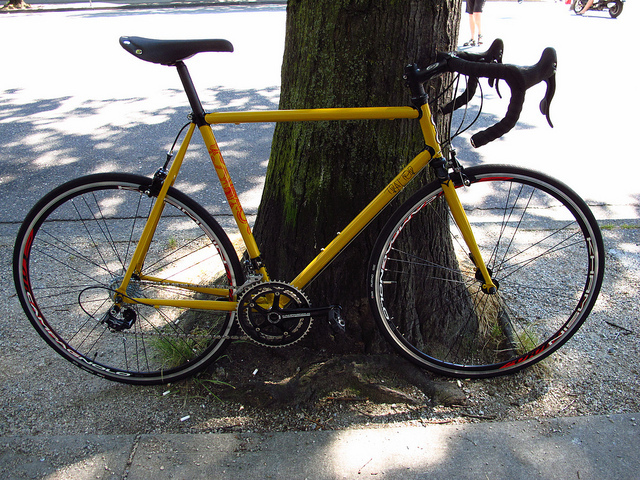 We built this Traitor Exile for a customer looking for a modern bike buildbut based on a more classic lugged steel frame. For the frame we sourcedthe lugged steel Traitor Exile from our friends in Washington. Check them out! We build it up with a 10spd. Campagnolo Veloce group w/ a Campagnolo KhamsinCX wheelset. The rest of the bike is kitted out with BBB Components.